Samuel Ortom says he was already a billionaire before he became the governor of Benue state. 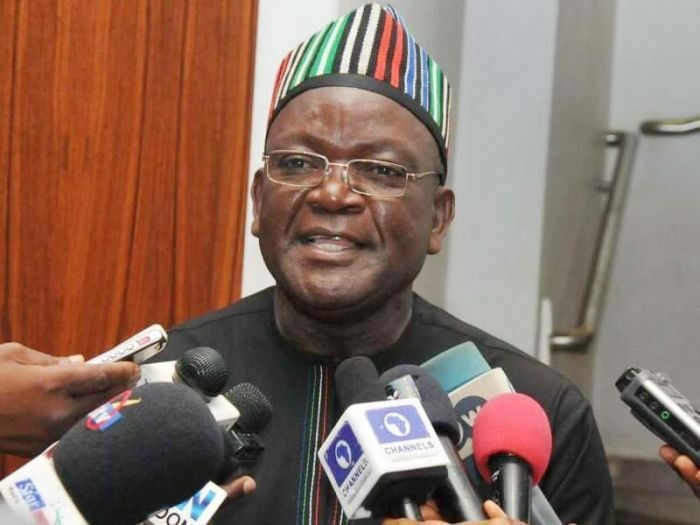 Ortom stated this while reacting to his estranged godfather, Senator George Akume’s allegation at the Buhari’s presidential campaign rally held at Aper Aku Stadium in Makurdi on Wednesday, February 6, 2019. Akume had accused Ortom of using his office to enrich himself. “Today, there is one governor in North-Central Nigeria, (a veiled reference to Ortom) who is richer than Buhari and has more money than Buhari in just three-and-a-half years of being a governor,” Akume said. “Just on Friday, we were on governorship campaign to the Guma LGA and these guards ambushed our campaign train, shot and killed one person,” he alleged. Addressing journalists in Makurdi, Ortom accused Akume of allegedly stealing N2 billion when he was exiting Government House in 2007. “The truth of the matter is that Akume cannot hold me responsible for not being able to provide jobs; I was a billionaire before I became governor,” Ortom announced. Ortom also dismissed the allegation by Akume that he armed livestock guards. He accused Akume of arming people and playing on the sensibility of President Muhammadu Buhari “to allow him use security agencies” for the general elections. The Governor also accused APC supporters of destroying his campaign billboards in his hometown, Gbajimba, and other parts of the state.